To modify a Verb, an Adjective or another Adverb, we use an Adverb. Too means more than required and it is used with Unpleasant Adjective. So, we cannot use too glad, too happy, too pleasant, too healthy. 3. A sentence which is based on ‘Too’ ‘To’ format, we cannot replace ‘To’ with ‘so that’. If we replace ‘To’ with ‘so that’, ‘Too’ also must be replaced with ‘cannot’. Correct- He is too weak to walk. Correct- He is so weak that he cannot walk. Much too is followed by Unpleasant Adjective, whereas too much is followed by Noun. Much too + Unpleasant Adjective. Too much + Noun. Incorrect- His wife’s rude behaviour gives him much too pain. Correct- His wife’s rude behaviour gives him too much pain. Quite and all are not used together. Correct- He is quite right (or) He is all right. Enough, when used as an Adverb, is preceded by a positive degree Adjective or Adverb. Two negatives cancel each other. Hence two negatives should not be used in the same sentence unless we make an affirmation. ‘At present’ means ‘at the present time’, ‘presently’ means ‘shortly’. These should not be confused. Incorrect- Nothing more can be done presently. Incorrect- He will come back at present. 10. ‘Hard’ means ‘diligently’, strenuously’, ‘Hardly’ means ‘scarcely at all’. These two Adverbial forms of ‘hard’ must not be confused. Incorrect- He tried hardly to win the race. Incorrect- She has eaten hard anything today. Incorrect- The news is much surprising. Incorrect-I was very surprised at hearing the news. 12. Hardly is an Adverb which means rarely. Whereas hard is an Adjective which means tough, rigid. 13. Ago is always used with Past Indefinite Tense. So, if ago is used in a sentence, that sentence must be in the Past Indefinite Tense. presently and shortly are used for future action and generally’ used with Future Indefinite Tense. 15. Early means “just after the beginning of anything” and soon means just after a point of time. 16. The sentence which starts with seldom, never, hardly, rarely or scarcely takes an inverse structure, i.e., Verb + Subject – Structure. 17. 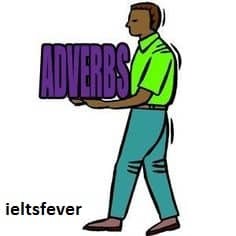 Inversion is also used in a sentence which starts with here/there/away/out/up/indoor or outdoor and Main Verb, or Aux + Main Verb is used before the Subject.